Nearly every single time I check my email, I will see some sort of email scam or internet fraud scheme. Some of these scam emails are obviously fake, whereas others sometimes look quite real. While many believe that email scams are something they would never fall for, they do exist for a reason. Someone must be falling for them. Someone must be losing money to them or scammers wouldn't be attempting to steal money and/or identities in the first place. In fact, according to Ultrascan AGI, nearly $13 billion was taken from individuals just from the well-known Nigerian scam emails in 2013 alone. There are many other internet fraud schemes out there as well that account for billions more. While I have never lost money to an email scam, I did almost fall for one around five years ago (see #3 below). 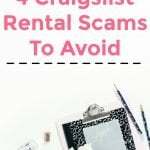 I also witnessed many scam emails when we were trying to find a rental home recently, which you can read in my post Craigslist Scams I Encountered When Looking For A Rental Plus Real Scam Emails. Below are several different scam emails that many are currently falling for. Continue reading at the end to learn about how to not become a victim of internet fraud as well. 1. The 419 email scam. The most well-known internet fraud scheme is most likely the 419 email scam. Even though many know about this scam, people still fall for this scam each and every single day. Sadly, many fall for the 419 email scam. Victims usually give up money of their own as well as their identity, and receive nothing in return. If you receive an email from someone claiming to be a foreign prince or something similar, just delete the email immediately. No prince is going to email you, no matter how interesting that sounds. Oh, the lottery scam… Rarely a week goes by where I don't “win” $100,000,000. If only these emails were real! The lottery email scam is when a scammer sends an email stating that you have won the lottery. They just need you to pay money upfront before you can claim your lottery winnings. They also may say that they are required to get your personal information. You know that the lottery email is pure internet fraud because you most likely never even entered to win a foreign lottery. Lotteries also never ask for you to pay for fees, so that is another clue. Plus, what's the chance that you've won the lottery anyways? For one person, we had several chats over email. They offered to pay me well, but then I received an email asking for a ton of information that I knew they did not need. They asked for my social security number, my bank account information, and more. The job scam is when you apply for a job and then the hiring manager tells you that you have it with little effort required from you. There are no interviews (or the interviews are very easy), the job supposedly pays well, has great benefits, and so on. That's when they get you. They then ask for a ton of personal information they say is needed so that they can fill out your employee paperwork, set up direct deposit, and so on. While many jobs do need certain information, if you easily get a job that seems too good to be true then you should be very wary of any information that you give to them. At least talk to the person and do your research on whether or not the position is real. The PayPal scam is something I receive almost every day. Since I deal with PayPal for my business all the time, these are the type of scams I truly hate. They also seem to be appearing more and more authentic, so I'm sure there are plenty of people falling for PayPal email scams. The PayPal email scam is when you receive an email from someone who is claiming to be PayPal. The email usually states that your PayPal account is frozen, that something is wrong, and so on. They then ask you to click on a link in the email which will supposedly take you to PayPal's website. Except, the link isn't actually to PayPal's website. It's usually to a website that looks VERY much like PayPal's website. However, it's actually a scammer who is trying to get your username and password so that they can drain your PayPal account. You should never click on a link that you are questioning. Instead, head on over to PayPal yourself and log in. Check the sender's email. In some cases, scammers may cloak the email address so it may actually look like it's coming straight from PayPal, so this may not be enough. However, most of the time the email address is something obviously fake, so that is usually your first clue. 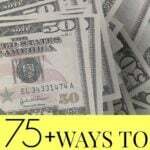 How to not be a victim of internet fraud and scam emails. Keep your personal information safe and do not give it away unless you are 100% sure that it is needed. Don't trust the sender's email address. If it seems fishy at all, the email may be cloaked in order to trick you. Are there any misspellings in the email? There is almost at least one misspelled word in an email scam. If you see one, then I would be very wary of an email from your bank, PayPal, etc. as that is usually a big hint that the email is fake. Always be sure that it's not an email scam before you send anyone money. Have you ever fallen for scam emails? Do you know anyone who has been a victim of internet fraud? 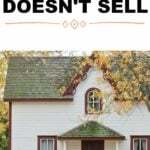 What If Our Home Doesn't Sell? 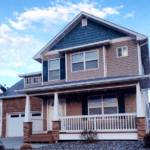 Should We Turn It Into A Rental? The one I see most is the PayPal scam. I get a lot of PayPal emails because I have an online business so I’m always very careful when opening them – some of them are pretty clever and if you’re operating on autopilot you can be in trouble. Great tips on how to spot the fakes, too. Yes, it would be so easy to fall for one of those PayPal scams if you’re not paying attention! Yes, it makes me sad that people fall for them. I was watching Dr. Phil the other day (don’t make fun of me for watching it haha), and some lady was scammed out of $200,000 online! I think I’ve been sent that Paypal one a few times now and had to think twice before opening it. Sometimes they do a really good job of making it look authentic before you notice the sender’s email address is really funky. I can’t believe people still fall for the Nigerian email scam. Have they not seen the news in the last five years? I don’t understand how anyone falls for that scam. It’s so obviously fake! Yeah, that Paypal scam is tempting because it seems to be so real. If I got an email from a Nigerian prince though I’m laughing at it lol. Yes, the PayPal scams can definitely seem very real! I haven’t fallen for any email scams, but sometimes they’re pretty clever. Whenever a scam email makes its way into my inbox, I click spam, to hopefully increase the chances that similar ones will be filtered out in the future. Great tips Michelle! Having worked in a bank branch for 10+ years, I’ve seen people become victims of all if these. One popular variation of the job scam is the mystery shopping scam. They claim to have a job for you and send you a check to cover expenses (but the check is usually in the $2k range). Then you are told that you just wire back a certain amount after taking back your cut. They hope you wire the funds before the check bounces. I think this was one people fell for the most since it was a smaller amount. Yes, so many people fall for this scam. It’s so sad! There is a really good doc on the Sakawa boys, which is basically the name for the guys who steal identities online and then buy cars and fancy things with them in their home towns in Nigeria. What a waste of talent; they could be starting a real business online or something like that instead. 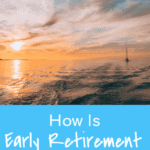 It’s the worst for the elderly, who are particularly susceptible and have their life savings wiped out. I went to a conference this weekend in which they were explaining how a lot of businesses get hacked; basically it’s internal and the hacker acts as an Admin or is recognized as one in the system. Evil, but interesting. Sadly, sometimes they look very real! They even make the email address look like it’s coming directly from PayPal! I haven’t fallen to any scams but I am definitely starting to see them pop up more and more. A lot of these e-mails go straight to my spam folder anyway. if not I delete them quick. Yes, there are so many of them! I get the Paypal one ALL THE TIME. It’s super annoying, but I’m glad I never fell for it. I have recently got Bluehost and PayPal scam. The Bluehost scam looked so real, but just in case I contacted Bluehost through logging into the system. The scammers have got really clever lately. Good job on catching it! I had no idea that people were pretending to be Bluehost. So sad. After reading this and thinking about it, I’m surprised I haven’t seen “phishing” on anybody’s side hustle lists. I think the worst is when you get an email from someone you actually know, whose account has been hacked, that says they are stuck somewhere and have lost their wallet and need money to get home. I’ve gotten a couple of those, usually from people who are on my contact list but not really people that would ask me for money in that situation. I don’t think I would fall for it if it was from a close friend or relative, but if my Mom got an email she thought was from me asking for money to get home from somewhere, she’d probably send it. I think older people are more vulnerable because they haven’t had as much experience in the technical world. People who scam on senior citizens are the worst! Ugh I hate those! I may have to do a part 2 to this post as there are so many other scams out there. It’s incredible how effective these email scams can be. My work has made me so paranoid about security issues that I’ve even flagged some legit emails because I simply had a bad feeling. It’s better to be paranoid than to accidentally fall for a scam! Yes, I’ve received some emails that I thought were scams but turned out not to be. Oh well! I always wonder who fall for the typical sketchy email scam where someone asks you to send money or buy strange items, but like you said, someone if falling for them. I have been surprised while trying to buy items on craigslist where transactions start out fine and then get weird quickly when they ask you to send a money to a foreign country or say they will mail a check for you to deposit (typical strategy is for them to “accidentally” write a check for too much, ask you to cash it and give you the excess back–but you don’t realize it until the check bounces). 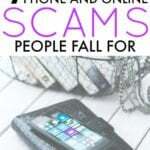 Unfortunately in this world there are a lot of scammers, so you always have to be careful! I wish there weren’t so many! I encounter lots of surveys in exchange of something such as coupons and free software. I just skip these and never ever try this out. Never type down your email address. Are you talking about the ones that are scams or are you saying they are all scams? When I was 18 I fell for one of these, similar to the PayPal scam but through my shiny new credit card. They got my account info and drained the card. It looked 100% legit! Luckily I didn’t have a high limit and the credit company was very helpful with getting it all straightened out. But I learned quickly not to trust anything on email at face value. A tip they gave me was they will never ask for your login or account info directly by email! Oh no! Glad it was all straightened out. I’d also add the conservative talk show host bullion scam. The two largest talk show hosts (Rush and Glenn) have email funneling systems that occasionally spit out ‘Buy Bullion’ emails. Avoid them! I own a coin and gold shop. Buying gold and silver can be a good investment if you know the market and understand the pricing. However the pundits send emails about how currency is about to disappear and you should have silver and gold. I’ve had nine people (all elderly) who have lost their pensions (read-millions) converting their money into bullion only to find that the currency hasn’t crashed, that they paid a HUGE fee and now have to convert their purchase back into cash and pay taxes on any amount over 10k. I’ll check that out. Thanks Jesse! I’ve never hear of the Paypal scheme!! I did have a similar situation with a housesitting job I wanted to do…then, I figured out it was a scam. Apparently, a pretty common one too. So, I had fun with the people running the scam-they never saw it coming. LOL! Haha what did you do? I have to know! I wrote a blog post about it! It was hilarious. Basically they wanted me to send a check and I said no. I would never send the check. Then I proceeded to tell them that I would burn it, cut it, and shred it before it got to them. They got the idea.